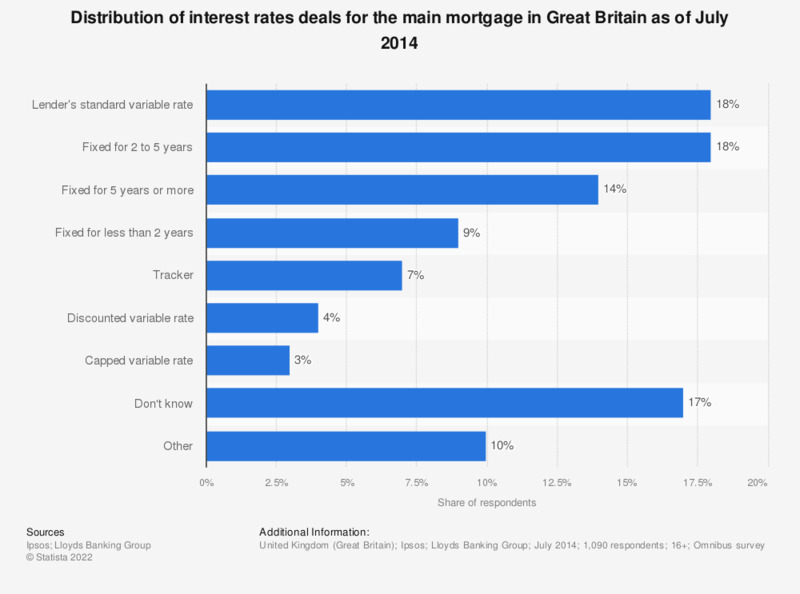 This statistic shows the types of mortgage interest rate deals in Great Britain, as of July 2014. Approximately 18 percent of respondents pay a mortgage interest rate fixed for 2 to 5 years. The same share of respondent reported paying a lender's standard variable rate. The full question read as follows: "Can I just check, what type of interest rate deal currently applies to your main mortgage?"